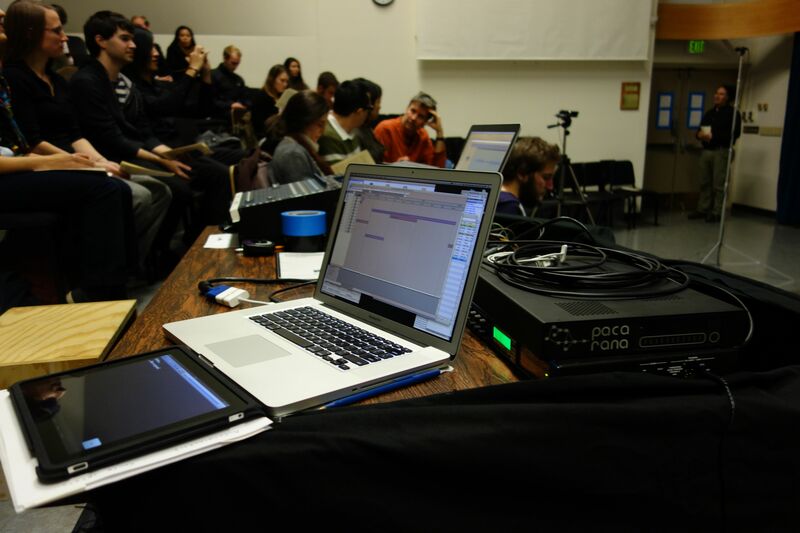 Carla Scaletti was the featured guest artist on the 23 November 2013 Future Music Oregon concert at Beall Concert Hall in Eugene Oregon where the audience performed her compositions: Autocatalysis for Kyma and Live Audience (2010) and …odd kind of sympathy for Kyma and Live Audience (2011). 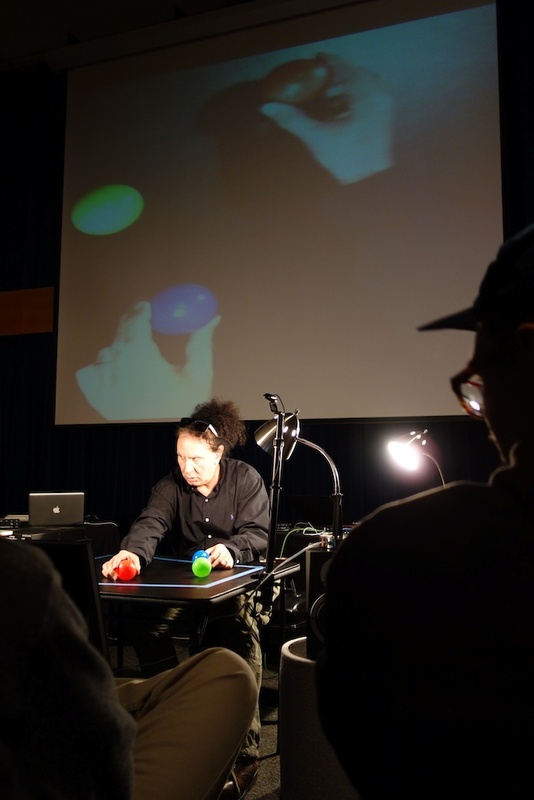 The concert also featured Kyma premieres by composers Colin Salisbury, Nayla Mehdi, and Churan Feng and live performances of Jeffrey Stolet’s Theatre of Spheres for Kyma and Colored Spheres and Lariat Rituals for Kyma and Gametrak. 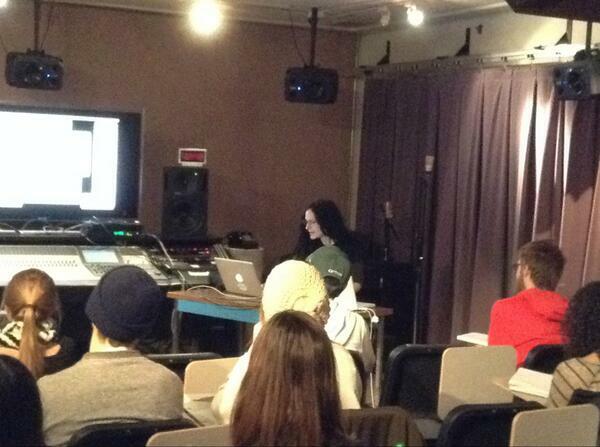 Following the Saturday concert, Scaletti conducted an all-day Kyma sound design workshop on Sunday and presented lectures on data sonification and the score for QUANTUM, a deconstruction of how Kyma was used in …odd kind of sympathy, and an advanced Kyma sound design lecture on the following Monday and Tuesday. Kyma users from Arizona, California, New Mexico, Washington, and Oregon joined with Jeffrey Stolet’s graduate and undergraduate students in the workshops, hands-on labs, meal-time discussions, and some of the intense dark roast beverage the Pacific northwest is famous for.